As Florence is projected to make landfall near the Carolinas, SECOORA Members in North Carolina and their partners are collecting critical data ahead of the storm. The data collected will help monitor storm surge, dune erosion, overwash and more. SECOORA will be watching Hurricane Florence as she traverses through the South Atlantic Bight. Access the Florence data page here. Join us for the free webinar "The Power of Observations for improved decision making in support of public health and economic vitality: Gathering Alligators, Taking Observations, Realizing Solutions (GATORS)" on July 24 at 12:00 PM ET. Dwayne Porter from University of South Carolina will provide an overview of the value derived by integrating data and sound science in support of public health and economic vitality decision making. 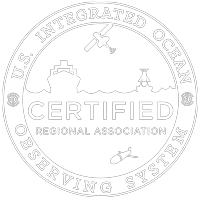 Examples will illustrate instances where management decisions have benefited from decision support tools that make use of data integrated across multiple coastal and ocean observing systems. Date: July 24, 2018 Time: 12:00 PM ET Presenter: Dwayne Porter, PhD University of South Carolina Reserve your spot now! Download the flyer! Our 2017 Annual Report is now available online! Thanks to all of our partners, stakeholders and members who make what we do possible. Below is an overview of what the report covers: Message from the Executive Director Providing Vital Data During Hurricane Season Leveraging Public and Private Partnerships Investing in the Next Generation SECOORA By the Numbers SECOORA Projects by State SECOORA Members Click here to view the report and explore our 2017 activities.